Once you’ve stepped up the quality of your podcast audio with a higher quality microphone, you’ll need to know how to best use it. What follows is a short list of tips that will help you get started. For more detailed instruction, do a Google or YouTube search for “microphone setup, gain staging for voIceover, podcasting, radio, etc”. 1. Record in a quiet room with minimal ambient noises such as computer fans, air conditioners, refrigerators, buzzing heaters or other extraneous sounds. Also be mindful of other noises you might be making, like shifting around in your chair, tapping your foot, putting down a glass of water, typing on your keyboard, farting, etc. 2. Be in a space that has decent absorption. A large room with little furniture might have too much echo. If your environs include a bed or couch, set your mic up close to it as a makeshift way to absorb reverb and reflections. 3. Try to speak into the microphone in one spot. Moving around, changing your proximity or being off axis will introduce level and tonal issues. Generally the closer you are to a mic, the fuller your voice will sound, but if you’re too close, your voice might sound bass heavy and bloated. It’s important to experiment here, but a good distance to start with is approximately 5-10″. If your microphone does not have a pop filter, it might be a good idea to invest in one. Pops and plosives can be distracting and make an otherwise decent recording sound unprofessional. 4. Regulate the dynamics of your voice. This doesn’t mean you need to be self-conscious and speak unnaturally, but be mindful of big swells in your speaking volume. If you get excited about something and scream into the mic, this can easily overload the electronics and cause distortion. 5. Drink water if necessary. Microphones love to pick up mouth noises and lip smacks, so if you’re prone to dry mouth, keep it moist in there. 6. Set levels carefully and run test recordings. This is a vast subject that is outside the scope of this article, but as a start, set your levels to a decent loudness without clipping the mic pre or analog to digital converter. If you’re using a mixer or audio interface, look at the metering, go close to the mic and speak at the loudest possible levels you’ll be at during the recording. 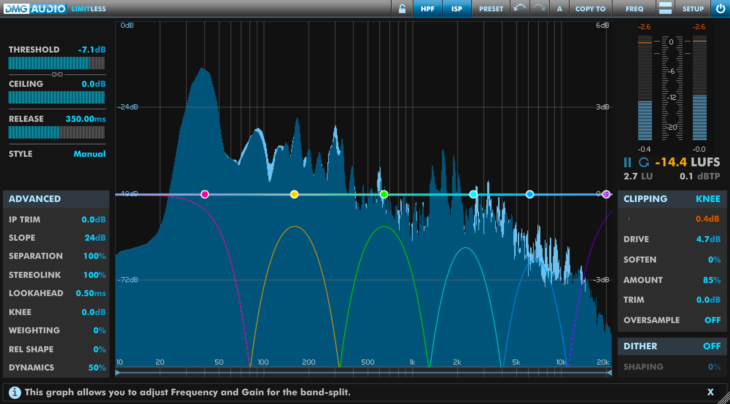 If you see any clipping (the metering will go into the red) back off on the mic pre level a little. Also check the levels in the software you’re using. For instance, if you’re using Skype, go into the sound settings and make sure the meters are not reaching full scale. If you’re using a digital audio workstation like GarageBand, Logic, Adobe Audition, Audacity, etc., look at the metering and make sure the loudest voice spikes do not reach the red – 0dbFS (full scale). 7. Record at good resolution. If your software has different quality record settings, use at least 256Kbps resolution. Even better would be non-compressed 16 or 24 bit / 44.1K resolution but this will take up much more storage space.